They look quite similar to many medium sized dogs. 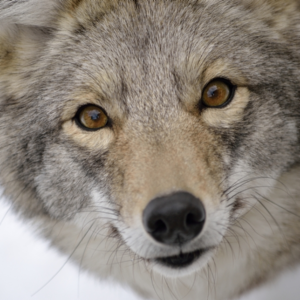 Preferably inhabit open country such as prairies and sparse woodland where they are primarily nocturnal in nature. Are successful hunters of small mammals with their ability to run fast and well developed senses of smell and hearing. 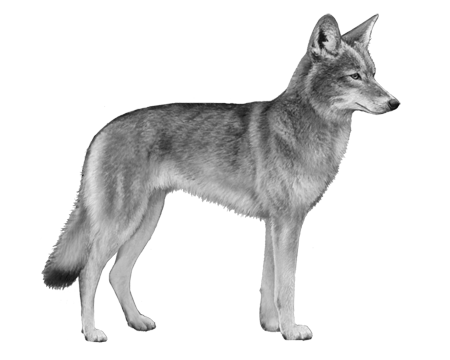 Can live in small packs but often hunt alone or in pairs. 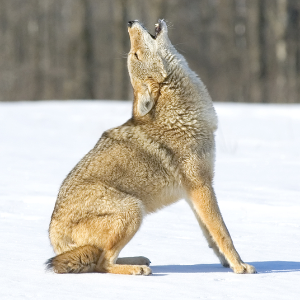 Coyotes can be very vocal using high pitched yelps, howls and barks, especially during the mating season. 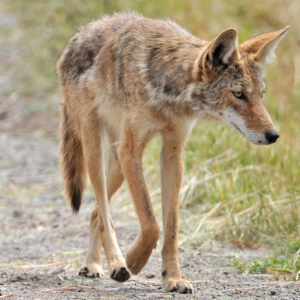 If Coyotes can be thought of as a relative to the dog family, they’re probably the cousin from the wrong side of the tracks. 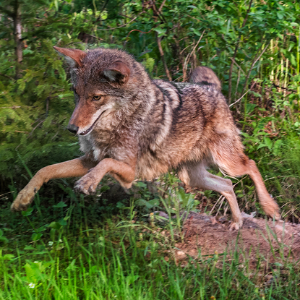 In short, Canis Latrans (to use their scientific name) is an opportunistic predator that feeds mainly on small mammals like voles, rabbits and squirrels. They look quite similar to many medium sized dogs but have relatively small paws and proportionately larger ears (in relation to their head size) than most dog breeds. And, of course, a characteristically bushy tail. 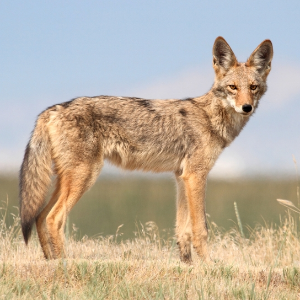 Coyotes can reproduce successfully with both domestic dogs and wolves, though the frequency of such matings is rare. But not impossible, as you can see.